Welcome to Prairie Valley School Division! We look forward to meeting you and your child/children! Students are registered at the school in their attendance area. If you are unsure which attendance area you live in, please click on our School Locator. PreKindergarten programs for three- and four-year-olds are offered in Balcarres, Broadview, Fort Qu'Appelle, Grenfell, Indian Head, Kelliher, Lipton, Lumsden, Pilot Butte and Whitewood. A student selection criteria is followed to ensure the children with the greatest needs are served first. Applications for admission may be printed and returned to the schools. To register for kindergarten, children who are at least (5) five years of age as of December 31 of the school year may be admitted to kindergarten. For example, to start Kindergarten in September 2016, your child must be five years old by December 31 of 2016. Please contact the school principal to enroll your child/children in kindergarten. Students can register at any time during the school year (September to June). When you enroll your child/children, you must provide the school principal with documentation that verifies their age. Please contact the school principal to enroll your child/children. More information can be found under AP-3000 Admission of Students. 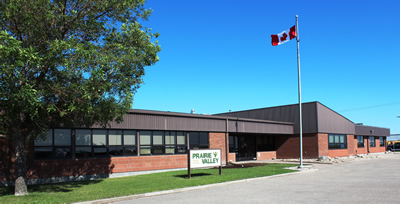 Prairie Valley School Division provides programs and services for exchange and international students. For more information, visit AP-3000 Student Admissions.